From debut author Rachel Ruiz, When Penny Met POTUS is a unique and clever picture book about a young girl whose mother works for the president of the United States. Penny has heard the term POTUS over and over but doesn't know what it means - and her imagination runs wild! When she spends a day at the office with her mother, she asks a few questions, looks around, and tries to discover just who - or - what POTUS is. 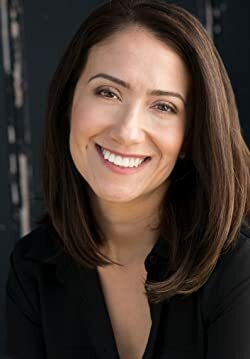 Rachel Ruiz was inspired to write her first children's book, When Penny Met POTUS, after spending 2012 working for President Barack Obama on his re-election campaign. After a long day at the office, Rachel was greeted by her inquisitive 3-year-old daughter, who asked her questions like, Did you have lunch with POTUS today? Is he allergic to peanut butter? Does he like to wear red socks? The list goes on! When the author's daughter met President Obama at a campaign rally, the brief but memorable exchange between 'POTUS and the 3-year-old' was the moment the idea for this book was born. When Rachel is not writing children's books, she is a TV writer and producer, most recently for Oprah Winfrey. She lives in her hometown of Chicago with her husband and their daughter. Cassandra's Review- I was surprised it was not Barack at the end, and a woman president is as imaginative as Penny. Maybe one day. It was great to see a woman in power and teaching a little girl that it is possible is awesome. The book is well written and illustrated and I think the illustrations really help the story become more interesting to the kids. I would recommend this for younger children, because the older kids think they know everything and kind of just sat around for the reading time.